The volume features contributions from scholars Adrian Zenz, Jarmila Ptáčková, Charlene Makley and Daniel Berounsky, amongst others. 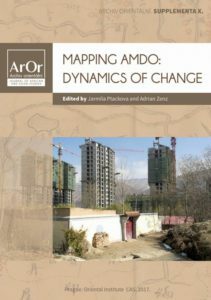 Based on recent ethnographic fieldwork and other new data sources, the contributors of this unique volume touch on a wide range of both contemporary and historical topics, ranging from socio-economic transformations and dynamics of ethnicity and relatedness to religious and ecological dimensions. The second volume will follow in 2018/2019.